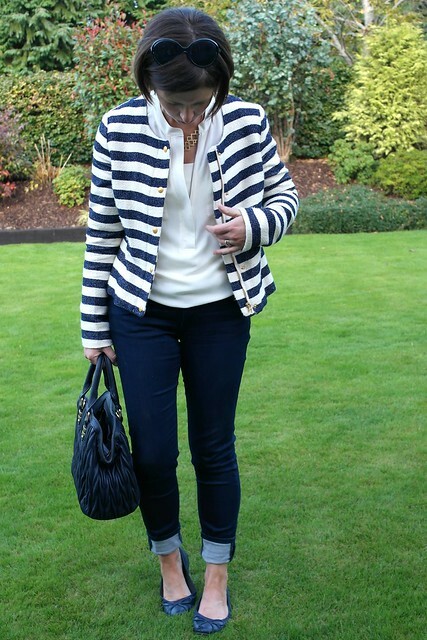 I bought this navy striped jacket last summer when we were up on the North Coast and I've worn it quite a bit but have only featured it on the blog a couple of times...it's the usual dilemma with distinctive coats & jackets. I love how they brighten up a neutral outfit like it does here but you're a bit limited in how you can wear them and it's more obvious to others (including blog readers!) when you wear multiple times. 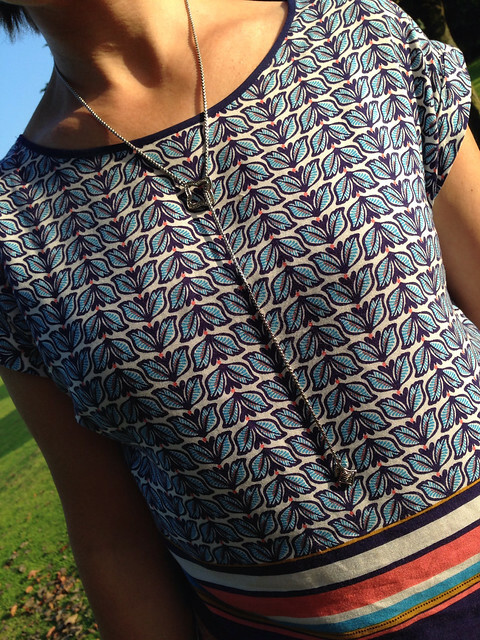 Quick post today as I'm off to the wholesalers to restock the shop - lots of pieces sold out over the weekend - the lariat one I featured on Instagram was a particular favourite. 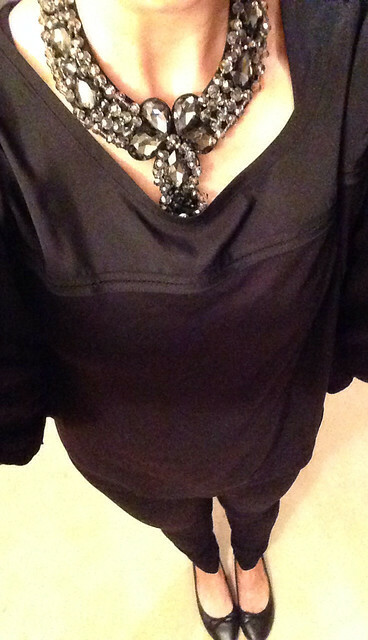 It's just such a great piece, especially if you're not a fan of big statement pieces or short necklaces. This one has been popular too. In fact, I wore it to a choir concert on Friday and someone in the audience asked for details and bought one the next day! Sorry the photo is a bit blurry - it was taken later on after the concert (and a late night Tesco shop!). There are better photos in the shop on this link. Hi Avril, love that striped jacket and the way you wear it, don't stop. Love that jacket I remember it from last year- which is exactly what you're talking about as statement jackets are easy to remember. You almost need to wear them as tops and just do a plain layer underneath I think! Great post, you look lovely. I understand your problem of being limited to what you can wear so that it doesn't keep popping up in different posts. it just means more shopping for us, Lol.